How about hearts & kisses? Okay, here you go I present hearts & kisses! 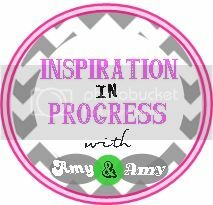 You want to find out how easy it is to make? 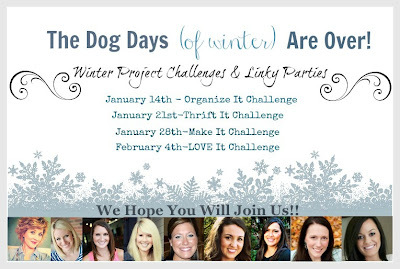 It all started with a manila folder that I cut as a heart-shaped. 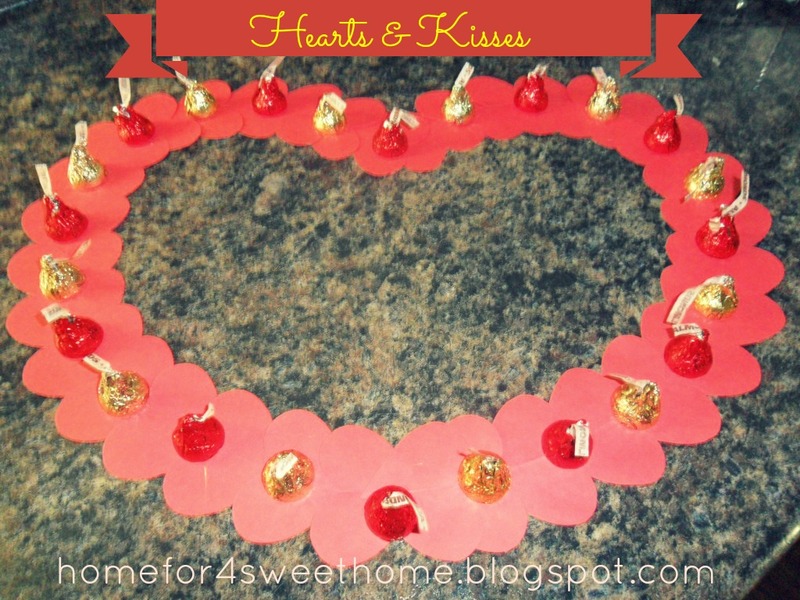 I pasted the small red hearts on the manila folder heart-shaped & hot-glued the hershey's kisses. 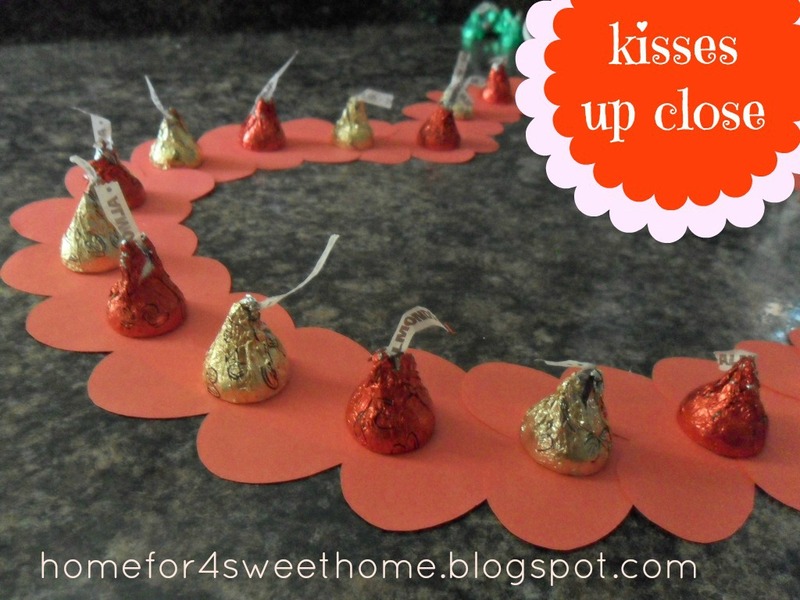 Of course my kids want to eat the kisses chocolates the moment I put it up! But hey! Mommy has some more left-over, so my kids "feasted" on it, lol! thank you Angelica, they want to eat the kisses the moment they saw it! my kids probably are wondering why Mom is decorating those chocolates instead of EATING! lol! So cute, Rea! I don't blame the kids :) I love kisses! thanks Cristina, almond kisses are my favorite so I keep these chocolates at all times :) everytime my kids see it, they want to grab those chocolates, good thing it's way to high for them to reach...i will pray that they will not find a way to reach it! lol! You are so smart to have kept some extra kisses. The wrath is safe, at least for the time being :). 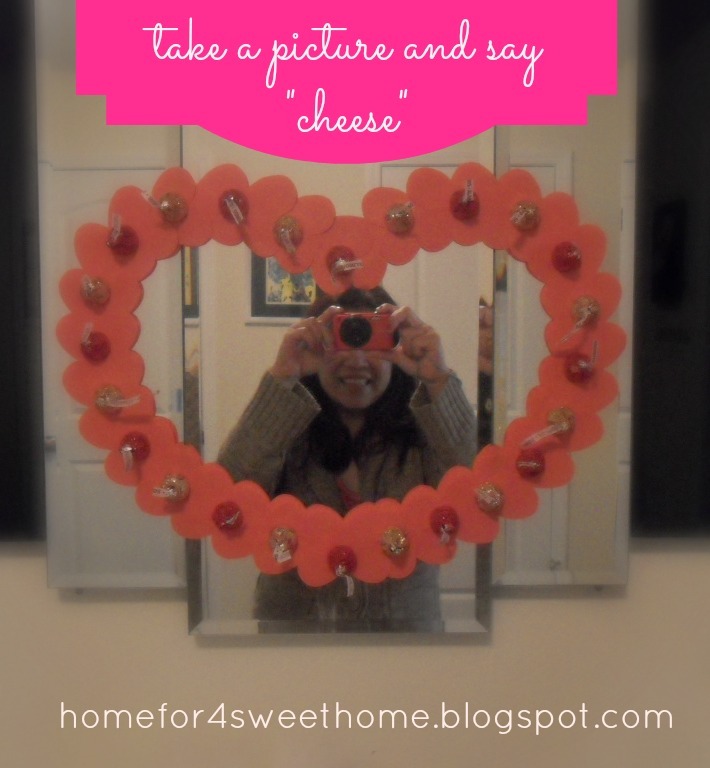 What a fun wreath, the perfect Valentine's day decoration! almond kisses is my favorite Amy so I keep it at all times in my home (in a hidden place, under lock and key! lol) for the time being, my kids will be just looking at it until valentines day! I'm glad that you think it is cute Caroline, thanks for stopping by! Valentine perfection. Thanks for sharing on BeColorful.